While June is sometimes referred to as “June Gloom” there’s nothing gloomy about the fact that around the country college seniors are celebrating all their hard work as they graduate! It’s more than likely that this June, you’ll know someone who is graduating from high school or college. If you happen to be attending the Cal Poly SLO graduation, you might want to consider staying at a nearby Morro Bay hotel. 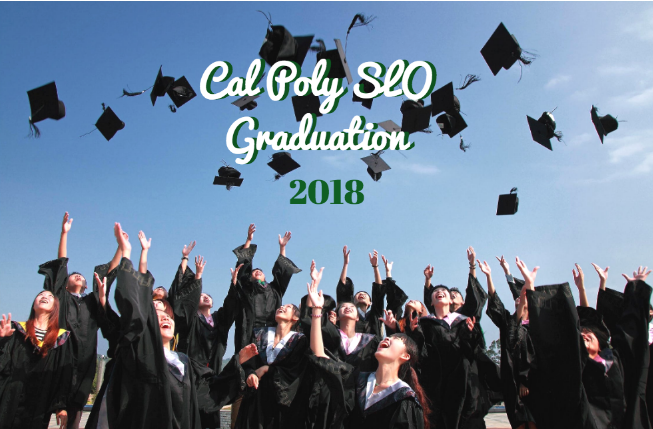 This year, the California Polytechnic State University graduates will walk on June 16th and June 17th. During graduation, a student’s academic achievements and hard work are celebrated and honored in this annual graduation ceremony. As the school brings together family and friends, students along with their greatest supporters are invited to reflect on the hard work that went into getting their degree and to celebrate the opportunities that come next. On Saturday, June 16th, starting at 9 am, the graduation ceremony for the College of Agriculture, Food and Environmental Sciences and the College of Science and Mathematics will take place. At 3 pm, the College of Liberal Arts and Orfalea College of Business graduation ceremony will take place. On Sunday, June 17th at 9 am, commencement for the College of Architecture and Environmental Design and the College of Engineering will take place. Due to limited space, tickets are required for all guests that will be attending the commencement ceremony. Each student that is graduating will receive an email with a link where they can claim up ten free commencement tickets. Children 3 and under do not require a ticket though due to limited seating, it is asked that all young children sit on the laps of family members or parents. Commencement will take place at the Alex G. Spanos Stadium. This June, support a graduate in your family. If your grad is attending the Cal Poly graduation and you are from out of town, consider staying at a nearby hotel.